The human mind is a complex organ that is capable of amazing things. Historically, many people have been capable of performing astounding feats of spirituality, ranging from clairvoyance to psychic healing. Modern society does not have a role for a spiritual healer, but many people still find themselves with these inexplicable abilities to help those around them. Psychic healing is a gift that can be used to help an infinite number of people— if you know how to use it properly. An important step towards using your psychic healing is learning about it. At its very core, psychic healing is a method of transferring your energy to someone else. Healing energies are channeled through your body, potentially with the assistance of spirit guides, into the body of a patient who needs to be healed. Though the healing is completed between two spirits, the effects of healing the patient’s spirit will manifest physically. In pranic healing, the healer taps into the universal life force, often referred to as “prana” or “ki” and transfers that energy into the patient. Mental healing involves controlling the cells of the patient to ensure they are functioning properly. In spiritual healing, the healer allows a universal healing force to flow into the patient through them. This often involves a strong, spiritual light. This may be the type of psychic healing you typically envision. In this type of spiritual healing, the healer will place their hands just slightly above the patient. The healer comes very close to the patient but does not make contact. Many patients and healers prefer this method as it is noninvasive but produces direct results. Despite what the name may suggest, this method of healing does not involve magnets or any sort of magnetism. Instead, this method involves direct contact between the healer and the patient to establish an open channel of energy communication. When direct contact is made, the auras of the patient and healer blend. This method is referred to as ‘magnetic’ as many early practitioners of this style of psychic healing would place their energies into an object (which would “magnetize” the object), then give the energized object to the patient to place on a diseased or harmed area. Healers using this method must be very careful to control how much energy they offer— it is very easy for a healer to overextend themselves in this method and harm themselves. A method similar to this is contact healing, in which the healer will place their hands directly on the area that needs their attention. This method is usually used by those in Spiritualist Churches. This form of healing can occur when there is physical distance between the healer and the patient. While the distance is far greater than in near to the body healing, the healer is usually in the same room as the patient. Distant healing is a great method for clients who are anxious about being touched or about the healing process. Despite the distance, this process has the same results as any other healing style. Absent healing relies on the interaction of a divine spirit to assist the healing process and is usually done by a religious leader. This process usually involves prayer and rituals. Many absent healers keep a Healing Book that lists the names of those who need their assistance with healing. The healers may then chant those names, a process which has been known to last up to fifteen minutes. This method of healing involves a healer guiding the patient into a trance-like state. Once in this state, the healer can do more direct energy transfer. It is important that the patient knows everything that will happen during a trance healing session and that they are not caught off-guard by the trance. Many trance healing sessions take place with extra people in the room to ensure that everything goes to plan, and there are no negative energies transferred. There are seemingly infinite techniques used for psychic healing. Psychic healing is a deeply personal process, and every healer has their own preferences and styles. 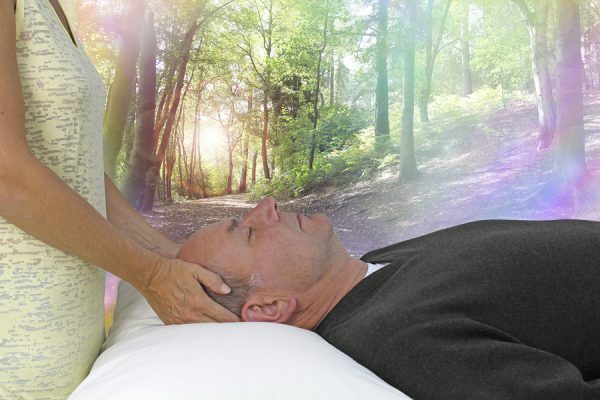 Some methods of psychic healing may involve direct contact to the patient, such as in magnetic healing. Other techniques would involve the healer being further from the patient, such as in distance healing. Psychic healing can also be tied into a healer’s spirituality. The techniques for Tibetan Buddhist psychic healers differ from those of Christian psychic healers. However, there are a few overarching techniques for healing that would be a great starting place for any healer. Many healers open the energy transfer by envisioning the pain their patient is experiencing. This places the healer and the patient on an equal emotional level and can help their auras to blend effectively. This style is powerful but must remain positive. Negative visualization can be harmful for the healer and the patient. Healers often use the powers of crystals to hold energy or intensify the frequency of a healer’s energy. Crystals are employed as assistants to the healing process. Certain crystals may be more beneficial than others depending on what’s being treated. For example, a healer helping a patient with the flu would use a different crystal than one treating a patient with insomnia. This method of healing is gaining traction both outside and inside the psychic healing community. Acupuncture is the usage of fine needles to target specific points of the body to bring about bodily relaxation and open the energy communication between the patient and the healer. Healers must be extensively trained in this method to successfully use it. Many of us are psychic healers without knowing it. Since shamanism and spiritual healing has been mainly ignored in modern society, many children who display psychic healing abilities are not taught to utilize their skills at a young age. No matter how old you are, however, you can learn to use your psychic healing abilities to help others and yourself. There are a few major signs that you may be a psychic healer. Psychic healers often find that they end up in a medical profession. Healers are naturally empathetic and in tune with the suffering of others, so they commonly gravitate to careers in medicine and psychology. Psychic healers often attract those in pain and may find themselves commonly listening to a friend’s personal struggles or emotional pains. Another sign of a psychic healer is that they listen much more often than they speak. They commonly attract animals and children, even when they may be shy. If you think you may be a psychic healer, consider reaching out to members of the spiritual community through online forums. You may also want to communicate with a psychic healer in your area to learn strategies to hone your skills and help others.